You know you should eat more veggies. They’re full of good-for-you fiber and vitamins. But the average person eats only about half the amount they should. So how can you get more in? Swap out pasta for strands of zucchini that you shred with a julienne peeler. Or pulse cauliflower in the food processor until it looks like rice, and use it in pilafs and stir-fries. 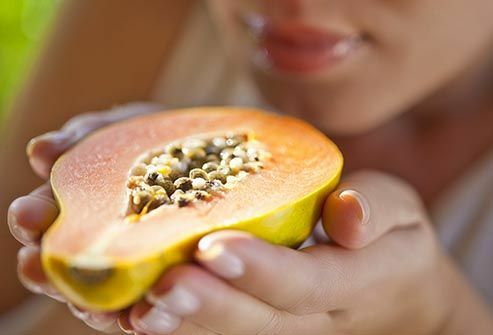 You’ll cut calories and add major nutrition. It’s hard to resist the junk food-filled vending machine when your stomach is growling at 3 p.m. But you don’t need to rely on willpower alone. 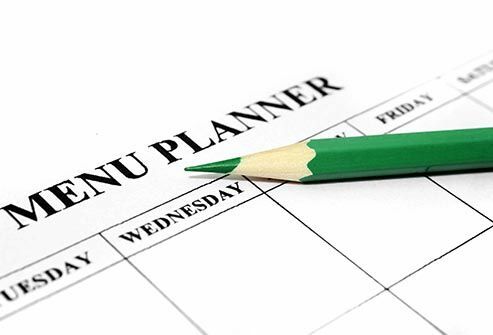 The right food choices earlier in the day can set you up for success. Reach for protein: It fills you up and helps you feel satisfied longer than carbs do. 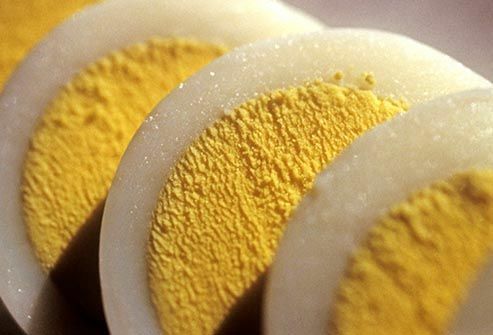 Go for meals and snacks that include things like hardboiled eggs, Greek-style yogurt, peanut butter, and skinless chicken. If you miss the flavor and texture of whole milk and full-fat yogurt because you think skim is better for your waistline, you may be in luck. It’s OK to indulge in the regular versions of dairy products from time to time. 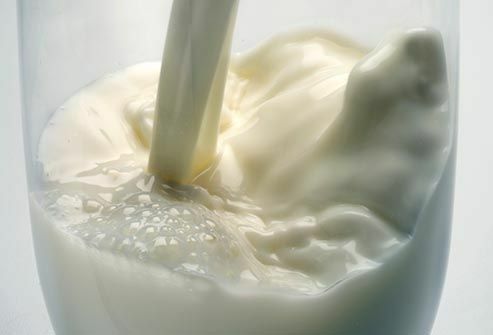 Drinking creamy whole milk was even linked to a lower risk of obesity in one study. Just make sure you don't overdo it and get too many calories or grams of fat overall. You might think you’re likely to eat more when you’re really hungry or if you’re digging in to one of your favorite dishes. But that’s not always the case. One of the biggest things guiding how much you eat is portion size. Studies show that people eat more food, even if they don’t like it, when it’s served in a large container. So serve food on smaller plates to limit how much you eat. It takes just a few minutes a day and can make a big difference. Not only do these journals make you more aware of your food choices, but they also can help you stick to a healthy diet. 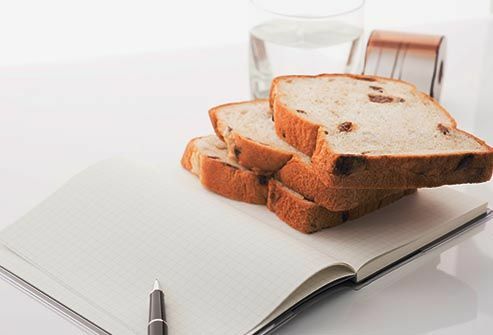 In one study, people who kept food diaries over the course of a year lost more weight than those who didn't. Try online tools, mobile apps, or plain old pencil and paper to find what works for you. 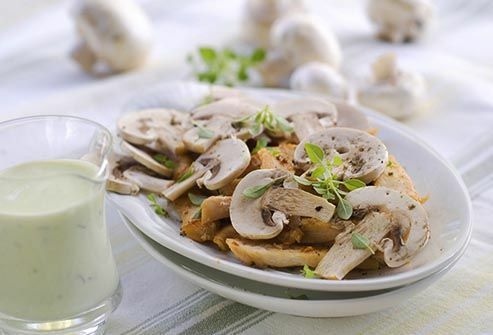 A satisfying, protein-rich meal doesn't have to be built on an expensive slab of steak or pork. At only about 25 cents per cup, dried beans are one of the best values at the grocery store. 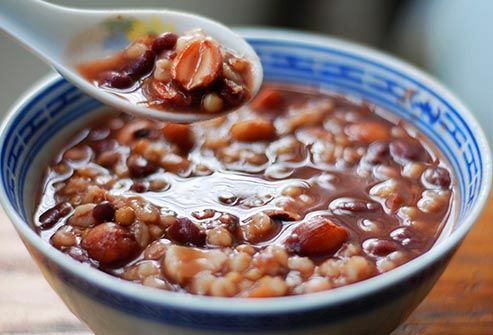 To save time, cook up a double or triple batch of beans and freeze them in 1- and 2-cup portions for fast meals later on. Don’t get stuck in a rut with any one kind: There’s a rainbow of options that can add variety to your diet. There’s no rule limiting vegetables to lunch and dinner. If you want more in your diet, breakfast is a great place to start. 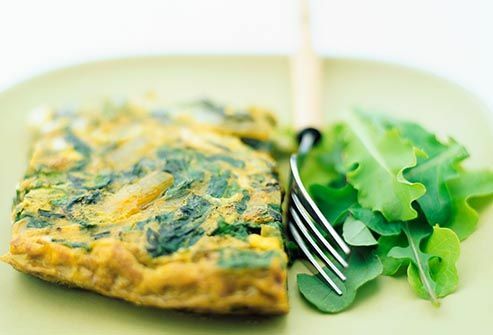 Cut one egg out of your favorite omelet and add cooked spinach, mushrooms, onions, or red peppers. Make a smoothie loaded with kale, apples, bananas, and yogurt. Vegetables are lower in calories than most other breakfast foods, and their fiber will keep you feeling full longer. Ever find yourself drooling over photos and recipes on TV shows, magazines, or blogs? Seems harmless. But when you ogle those images of tasty dishes, you’re likely to be hit harder by cravings. 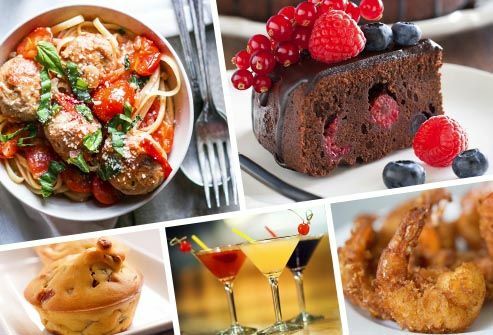 Pictures of food can make your body produce more ghrelin, the hormone that makes you feel hungry. To stick with your healthy habits, try to limit the foodie TV shows and blogs -- and view them after you’ve eaten, not before. It can be hard to think straight when you come home tired at the end of the day. It’s also the worst time to try to figure out what to make for dinner. You can save yourself from the drive-thru when you plan meals and have convenient dinner building blocks handy, like frozen vegetables. When you cook, make a double batch. Sliced and seasoned chicken means an almost instant stir-fry, and cooked ground beef makes for a speedy taco night. When you bring your groceries home from the store, don't just stash your veggies in the crisper. 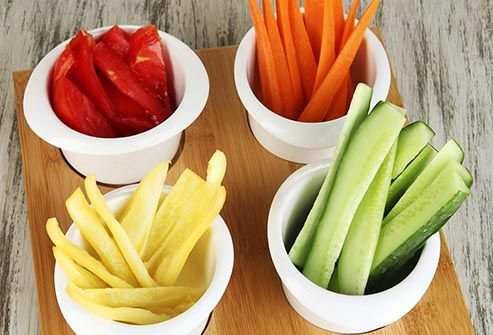 Instead, take a few minutes to cut your carrots, cucumbers, and red peppers into snack-friendly sticks. That way, when you get hungry, vegetables are just as easy to grab and eat as pretzels or potato chips. Hate chopping? Buy bite-sized veggies like baby carrots and grape tomatoes, or get the precut kinds. As you build healthy eating habits, find things you can add to your diet. Seek out cool new fruits beyond the usual apples and bananas, like kumquats or clementines. 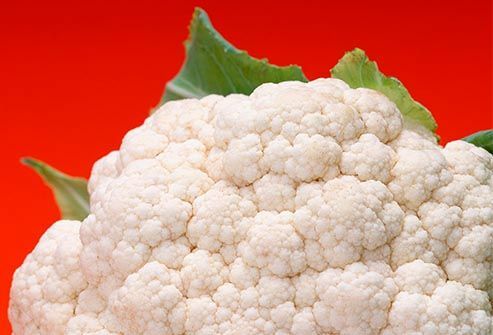 Pick up an unfamiliar vegetable at the farmers market, like a neon-colored cauliflower. You're more likely to stay on track when you embrace what you can have instead of dwelling on things you want to limit, like junk food and sugary soda. Harvard School of Public Health. "Vegetables and Fruits: Get Plenty Every Day." Westerterp, M. Regulatory Peptides, August 2008. Holmberg, S. Scandinavian Journal of Primary Health Care Published online June 2013. Kong, A. Journal of the Academy of Nutrition and Dietetics, September 2012. Academy of Nutrition and Dietetics. "Beans: Pantry Staples, Nutrition Stars," "Delicious Family Dinners for Weeknights." CDC: "Healthy Eating for a Healthy Weight," "How to Use Fruits and Vegetables to Help Manage Your Weight." Schüssler, P. Obesity June 2012. Sanchez, M. British Journal of Nutrition, April 2014. American Heart Association: "Daily Tips to Help Your Family Eat Better."